These two-month correspondence courses offer in-depth looks into fascinating areas of audio engineering to advanced learners and ambitious beginners. The three courses are a part of HOFA COMPLETE and are not yet available as individual courses. They will be released later in 2019. The HOFA Online-Campus gives you access to all your learning content at any time – in your web browser or with the HOFA-College App for smartphone & tablet. Learn in a multimedia-based way with video tutorials, texts, sound examples, complete studio productions & practical exercises. 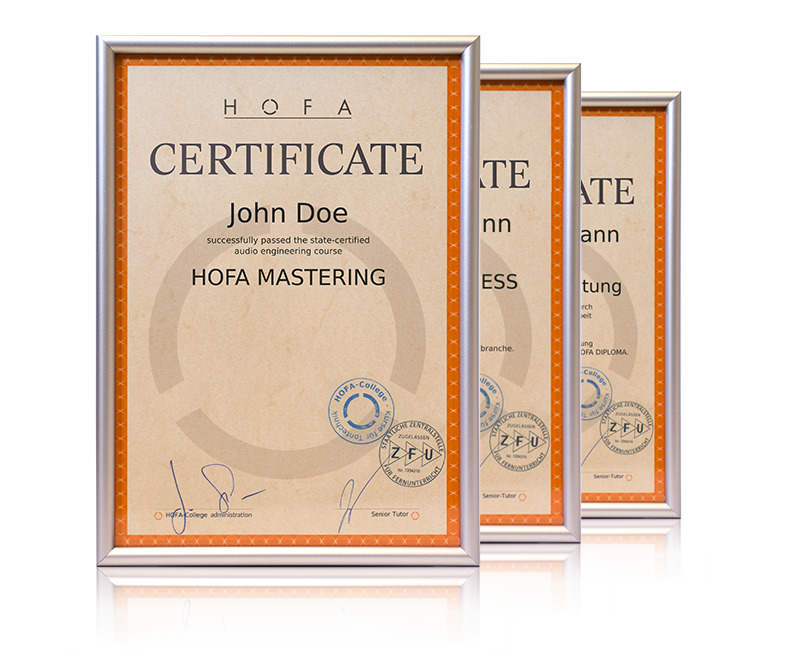 HOFA Short Courses can be completed with all current DAWs such as Pro Tools, Logic, Cubase, Ableton Live, Studio One etc. Expert knowledge from fascinating areas of music production. Interesting exercises to work on and submit. Graduates receive a certificate for each short course.